The next phase in the hunt for footballer Emiliano Sala and pilot David Ibbotson’s plane is underway, as the Air Accidents Investigation Branch (AAIB) began an underwater search Sunday morning. The AAIB’s Geo Ocean III vessel is working with a privately funded craft in conducting sonar surveys near Guernsey in the English Channel. 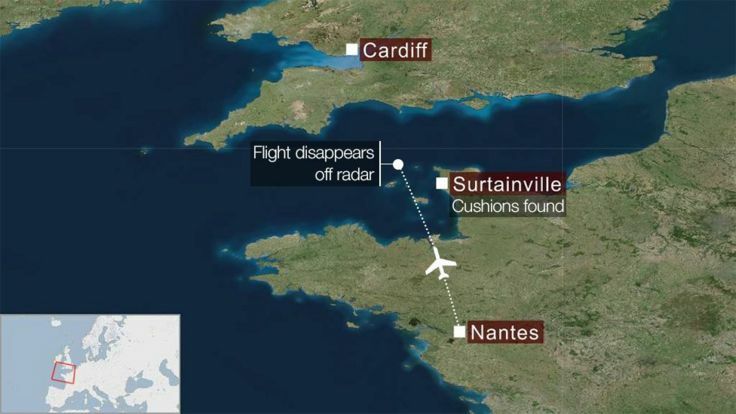 Sala disappeared with Ibbotson on Jan. 21 when their plane vanished from radar between Pays de la Loire in western France and south Wales. The Argentinian striker was traveling to join his new Cardiff City teammates following a club-record £15-million transfer from Ligue 1’s Nantes. David Mearns, a marine scientist who specializes in finding shipwrecks, expects the latest mission to last three days. He told BBC News that the two vessels will divide the search area of around four square miles (24 nautical miles) in half and can work to depths as deep as 120 meters. “We will continue to work until the plane is located,” Mearns promised.